Erste Group analysts recommend: stock picking rather than sector allocation. 2011 to be a positive year for equity investments. “2011 will be a positive year for equity investments based on positive company results, attractive valuations, low bond yields and decreasing risk aversion which will generate a positive environment for riskier assets. 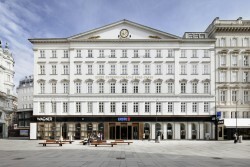 The consensus expects some 23% EPS growth for 2011 in the CEE region,” comments Henning Esskuchen, Co-Head of CEE Equity Research. This article includes a total of 323 words.